With a student body representing more than 100 countries, the world meets here at UNO. 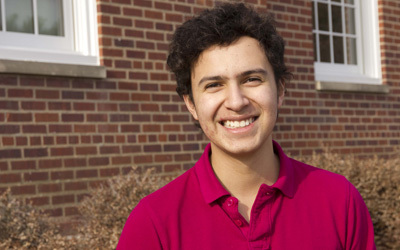 Click on the links below to meet some of our past and present international students. Why did you choose to come to UNO? In my home country of Albania, there isn’t a major like Bioinformatics where you can combine science classes with computer science. It was a hard decision for me to choose between medical school and computer science because I enjoyed both. I learned about UNO's Bioinformatics program from my brother, an alum of UNO. I was attracted by the program's multi-disciplinary approach across subjects that I enjoy -- mathematics, biology, chemistry -- and I like how computer science ties them all together. Also there are few universities in the United States that offer Bioinformatics at the undergraduate level. What do you like about UNO and Omaha? 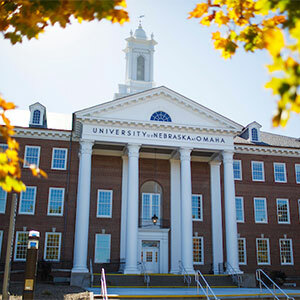 Moving from a small country and a small school to a big school like UNO can be scary and frustrating at times, but I love how everyone is so friendly and welcoming here in Omaha and on campus. Everyone is willing to help any time you need assistance. Omaha is a home away from home, or better said: Omaha is my Homaha! Being a full-time student and working part-time, I don’t have much free time. But whenever I have some free time, I like to watch movies, go for walks, bike, rock climb, cook, or Skype with family and friends back home. I love to travel, and I am trying to visit as many places as I can in the United States. You were chosen to be a Scott Scholar as well as for the Emerging Leaders program. What do these honors mean for you? Being chosen as a Scott Scholar recipient as well as for the Emerging Leaders program was a great honor for me and an experience that I will never forget. It is so encouraging to see that your hard work is appreciated and noticed and honored. It is a once-in-a-lifetime event and an experience that I will cherish for years to come. What advice would you give to other students who are looking for a university in the United States? My first advice is to take plenty of time to study your potential choices. Geographic location of a school, its size, the degree programs it offers, the academic standards, and the total cost of the education are good factors to keep in mind. So choose a university that best fits you. Usually smaller colleges have a more protected environment and class sizes are smaller. This helps in the ratio of students to faculty, which is helpful in educational and cultural terms. Integration into student life is also easier at a smaller college. I wouldn't change UNO for any other school! My major helps me learn English well and teach others about it. I love English. I will NOT get tired even though I need to speak it for a whole day! Since I am learning this language, I have been looking forward to further educate myself in English-speaking countries. Studying abroad has been my dream since I was in high school. When I learned that there is an exchange program between Huizhou University and UNO, and I heard some of my friends who came to UNO say that it is a really good place to study, I chose it without a second thought! And I chose right! I really appreciate the Midwest friendliness! I enjoy studying at UNO, which is well equipped for international students. Library, computer labs, writing center and speaking center, and helpful advisors, professors and awesome classmates -- they all keep me studying day after day without getting tired of it. As a student at UNO, I can feel the encouragement every place and every moment. Life at UNO is exactly the life I would like to pursue. Comfortable living conditions, peaceful parks, nice people, warm smiles, and the delicious steak – these are the important reasons why I want to come back! I would say I have two homes. One is in China and the other is Omaha! As an English learner, it takes me more time to finish my assignments than my fellow classmates, so I spend a lot of time on my studies. But it is OK for me because I like reading, writing, and communicating with people. I also love to take part in school activities and be involved. I am keen on hanging out with friends and playing badminton or bowling. In my spare time at home, I enjoy cooking and video-chatting with my family and friends in China. I really don’t think that ranking or size matters. The first thing I will suggest is to know the difference between majors in your home country and the United States. Only when the school can provide subjects you are interested in will it be the right place to go, because interest is the best teacher. Last but not least, once you’ve chosen it, love it! My mother and her siblings attended UNO and recommended it to me. UNO seemed a really good place to study from the beginning, focused on academics and student development. My brother and I came here together in 2008. What do you like about UNO? UNO is a great university with wonderful staff and faculty. People are nice and always happy to help students. The campus is like my second home and I spend a lot of time there during the school semester. UNO also provides support to students and organizes on-campus events that promote interaction and fun activities among students. What do you like about Omaha? It’s a nice city to live in, with not much crime and lovely people. People from Omaha have a very neutral accent, which is easy to understand especially for foreigners. Omaha is also not very expensive and offers different cultural spots, such as museums, theaters, etc. What I love most about Omaha is the Old Market. I find it a very attractive place, rich in culture, arts and entertainment. Shopping, yoga, reading (novels, language books, fashion or beauty magazines), listening to music, Zumba, hanging out with friends, babysitting. How do you feel about coming to Omaha with your brother? I consider myself lucky to be here with my brother, as we share our experiences and help each other in everyday life. My brother and I are very close so this facilitates our experience as both students and siblings. We’re also very supportive of each other and tend to share stories about our routine and whatnot. We are both involved in some on-campus activities/organizations together, as we have some mutual interests and come from the same cultural background. It’s important to travel and visit different universities in order to get a clear idea of where you want to study. Don’t focus on how big or nice the campus is, but on academics/majors/programs and services offered. Ask for suggestions from your friends or people you know who study or have studied in an American university. Finances were the biggest concern when I thought of pursuing higher education in the United States. I was looking for an institution that delivered value, was affordable, and had a great MBA program at the same time. 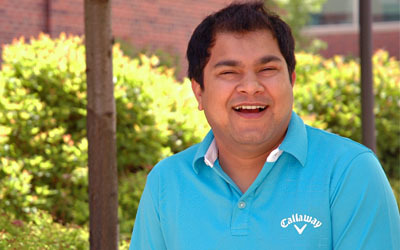 My concerns were addressed by my brother, who was pursuing his master's degree in Management Information Systems at UNO. He gave me invaluable feedback regarding the superior quality of education here. The fantastic facilities on campus, a great MBA program, helpful and supportive faculty and staff were some other factors in my decision. I was sold the moment I saw online the beautiful Mammel Hall, home of the College of Business Administration. UNO is an extremely diverse institution with a great culture. People from different cultural, geographic, and socioeconomic backgrounds come together and are encouraged to be themselves. This spirit of diversity and inclusion is apparent in every facet of the institution and a typical student's college life. Another factor that makes UNO great is the city itself! Omaha is often referred to as the best kept secret of the Midwest -- and it is! The first impression that I had of the city, coming from New Delhi, was that it was too small. I thought I had made a mistake coming here, that this city might not have much to offer and that I should get out as quickly as possible. I could not have been more wrong. Omaha is the home of Warren Buffet and Berkshire Hathaway and many other Fortune 500 companies. As a result, there are ample internship and job opportunities for UNO students. I enjoy meeting people from diverse backgrounds and discussing their views and opinions on a topic of common interest. I also enjoy playing tennis, reading, and watching movies. You and two other students were awarded the 2013 Peter Kiewit Student Entrepreneurial Award. How did you feel when you got the award? What does it mean to you? It was a great feeling! Winning the award for our e-learning startup -- STEM-Direct -- gave our venture a lot of credibility. We also won second place in the Maverick business plan competition, and that further cemented our faith in our idea. Awards and recognition for one's contribution to the community always make you feel good. It keeps you motivated to go on. I was deeply humbled by these honors. Choose UNO! This is a great place to be. But even if you want to look around to weigh your options, please do a cost-benefit analysis to understand the value that the educational institution you choose has to offer. Education is an investment, and we need to understand the long-term return on that investment. Being at UNO gave me the opportunity to pursue a career of my choice and graduate free of any debt at the same time. 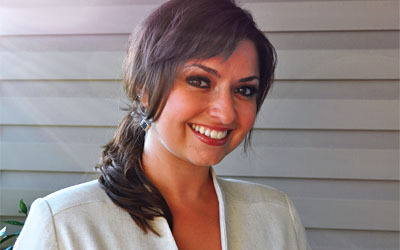 Cezara is a graduate assistant for the MBA program and the MBA Association President for 2013. She graduated in 2008 with a Bachelor’s of Science in Finance and Banking from Babes-Bolyai University in Romania. In 2011, she earned a Bachelor’s of Science in Computer Science from Texas A&M University. 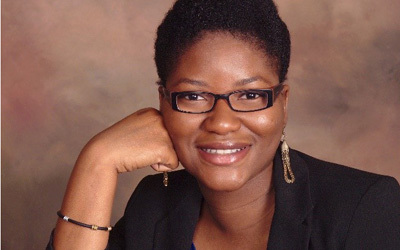 After earning an MBA at UNO, she plans to pursue a leadership position at a company involved in information technology, marketing, or international business. I first heard about UNO from my husband, who is also a UNO student. He talked very highly about this institution and its culture. Also, UNO provides affordable high quality programs. The UNO MBA program enhances the students’ qualities and prepares them to become excellent business leaders. I love the hospitality of UNO students and staff. The student diversity in nationality, ethnicity and age gave me new perspectives. The UNO professors are very talented – they helped me develop critical thinking skills and utilize leadership and team-building competencies to address real-world challenges. The MBA Director is accessible, responsive and knowledgeable - she became my mentor and I always seek her advice. As for the International Student Office, they will make sure international students get easily integrated and have always someone to count on. I like Omaha not only due to its friendly and helpful community, but because it is an animated city that fosters a healthy business environment with plenty of opportunities for entrepreneurism. The city provides a lot of entertainment for every age and personality - concerts, festivals, shows, plays, educational conferences, and fun events. You do not really get bored around here, unless you choose to. I am mainly passionate about painting, crafting, arts in general, and IT. When the weather permits, I love biking and taking long walks. Reading, going to the cinema, and spending time with my family and friends are my favorite weekend pastimes. You are involved in the Getting to Know Europe project. What is your role in the project? What do you like about it? I am a UNO Diplomat for the Getting To Know Europe (GTKE) project. I am responsible to participate in meetings, and provide general information about the European Union and the E.U. countries. Also, as a GTKE diplomat I get to offer my own perspective on the European Union when talking to U.S. and non-U.S. citizens. The GTKE team is very engaging, friendly, and offered me exceptional opportunities to meet and discuss with E.U. officials and delegations that were visiting the U.S. I absolutely love their passion of getting involved with the Nebraska community and spreading the knowledge about the European Union and its relations with the United States. International students who are seeking to study in the U.S. should start by searching for a university that tailors to their needs and expectations. Also, they should pick a region with a climate they can tolerate or adjust to. I believe the living costs are very important, so they should not only check tuition rates, but rent quotes and transportation costs as well. Last but not least, international students should always seek for help from their advisors and professors when they are confronting difficult situations. I choose UNO simply because I had two cousins who studied at UNO in the 1980s. UNO was also recommended by our Ministry of Higher Education in Saudi Arabia. I like UNO's open environment, where everyone is free to laugh, talk, and build relationships with other students, especially on campus. I like the unlimited activities that UNO and the ILUNO program provide to international students to get them more involved with all different kinds cultures, sports, and businesses. I like the advising staff; they give you the feeling that no matter what, they will be there for you. What did you like about Omaha? It's hard to tell what I like the most about Omaha. Simply, I like Omaha's social environment; it gives me the comfortable feeling that I am always welcome no matter who am I and where I come from. I felt home as soon as I stepped out of the airplane. Economically, Omaha has a low cost living, which is an important factor that all international students are concerned about. Volleyball, riding my motorcycle, and riding horses are my favorite hobbies. At UNO, my favorite pastime was spending four years as a Global Diplomat, helping new international students get settled in Omaha. UNO had tremendous appeal to me for both academic and athletic reasons. It provided me with the opportunity to compete athletically at a higher level, while working towards a degree as well. My teammates have been outstanding, and I've established a number of friendships that will last a lifetime. One major benefit of attending UNO has been the smaller class sizes. It has allowed me to frequently communicate with my professors, and has enhanced my learning experience as a whole. Although my skills are limited, I love to play golf in my spare time. Some of my teammates are incredible golfers, so they're a lot of fun to play with. You are currently a forward on the UNO ice hockey team. Why did you choose to play at UNO? What excites you about the ice hockey program here? The players and staff at UNO made me feel extremely comfortable throughout the recruitment process. 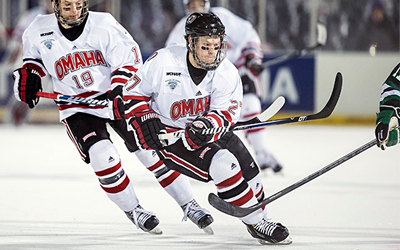 I saw UNO as a place I could succeed on and off of the ice, and I'm very excited for the upcoming season. I would suggest visiting and/or talking to as many students as possible who attend the school you are interested in. I had the opportunity to visit multiple schools in the U.S. before deciding to come to UNO. This allowed me to weigh the pros and cons of all potential options, and ultimately make a final decision. I decided to come to UNO because I had family and friends that attended the school. They only had great things to say about the university and I wanted to see it for myself. Indeed, UNO proved to be everything I expected and more. 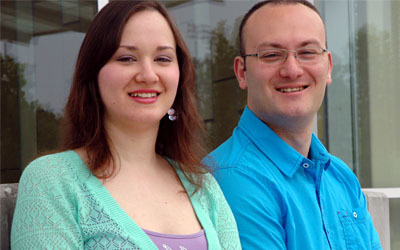 The biotechnology degree curriculum provided me with a unique higher learning experience. As an undergraduate, I was given the opportunity to conduct research supported by the Funds for Undergraduate Scholarly Experience (FUSE) Grant. As a result, I gained a tremendous amount of laboratory and research experience. I love the fact that UNO provides its students with such opportunities for personal and professional development and growth. Besides the academics, one of the things I love about UNO is the diversity represented on campus and people's friendliness. I have made friends from all over the world as a result. There is a real sense of community that makes you feel at home. In addition, Omaha provides a quiet and safe environment and this makes the city a great place to study in. In my spare time, I enjoy playing basketball, cooking and reading. I am also a teaching and performing artist in traditional African dance. Finally, I love being involved on campus, volunteering and being an advocate for global health with my student organization. I would advise prospective students not to be afraid of not having ties in the place they are going to study. Universities in the US put in place a lot of resources to support international students, even though some do more than others. Look for a place that has a good supportive system and orient your search to find the school that will offer not only opportunities for professional advancement but also for personal growth and fulfillment. It is a community which has enrolled students from many countries in the world. It provides me with different points of view, depending on each person I meet here. I can expand my frontier, improve my skills and be a better person in the world. 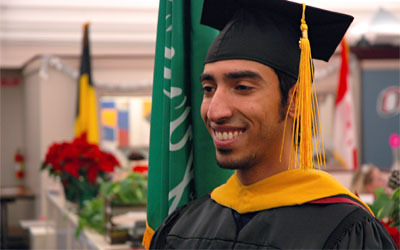 The different cultures of students on campus such as Saudi Arabia, Japan, China, Europe or Africa. When I sit with some of them, I feel that this is my country, my house, my people. Playing tennis, volleyball, drawing dancing, parties, and eating at Burger King! Each step you take, remember that you’re representing your country, your house and your family. 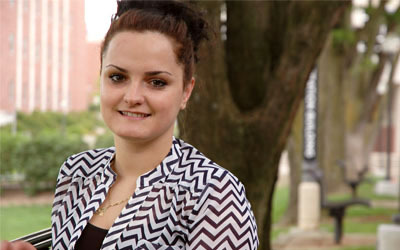 What did it mean to you to receive the New International Student Scholarship from UNO? Only last week I was thinking about my next year, my future, and considering whether I should go back to Colombia or stay in U.S. After thinking it over, I decided to stay here and continue my education at UNO. A year ago I wasn’t expecting to come to the U.S and study English. It was like diving in a river, where anything could happen, and I didn’t care at all. God sent me someone who talked to me about Omaha, a small town that is really hot in the summer and really cold in the winter, and about UNO and its ILUNO program. I did everything the university told me to do to start the English Program in March 2013. I remembered talking to myself, saying that I won’t finish my major in Colombia, I want to go to UNO. My mom, to whom I’m really thankful, is always proud of me and tells me that everything I pursue I get. And now, the last month of the year, I got the ILUNO Scholarship to start my major in Marketing at UNO. This was the happiest day of the year for me and I won’t forget it. I felt very proud of myself. I say thank you to everyone who helped me on my way to success, saying to God thank you as he’s always giving me the best. As a metropolitan university, UNO maintains close ties with Omaha's businesses and nonprofit organizations - places where student interns gain practical, hands-on experience in their fields of study. An internship is defined as any approved and carefully monitored work or service experience in which the student pursues intentional learning goals and reflects actively on what he or she learns through the experience.